But Thou art the same, and Thy years shall have no end. Psalm 102:25-27, KJV. 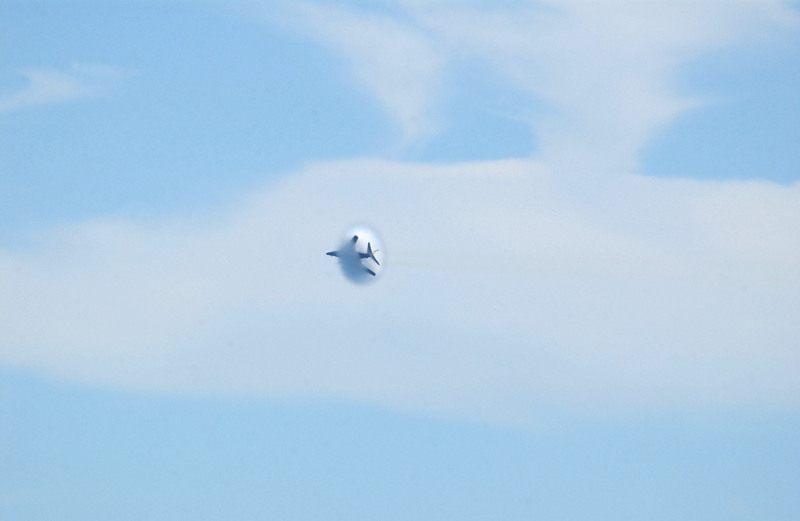 Large white clouds are already present as the United States Air Force B-1B Lancer bomber flies transonically  speeds varying near and at the speed of sound (supersonic)  through the blue Southwest Asia sky on January 16, 2004. 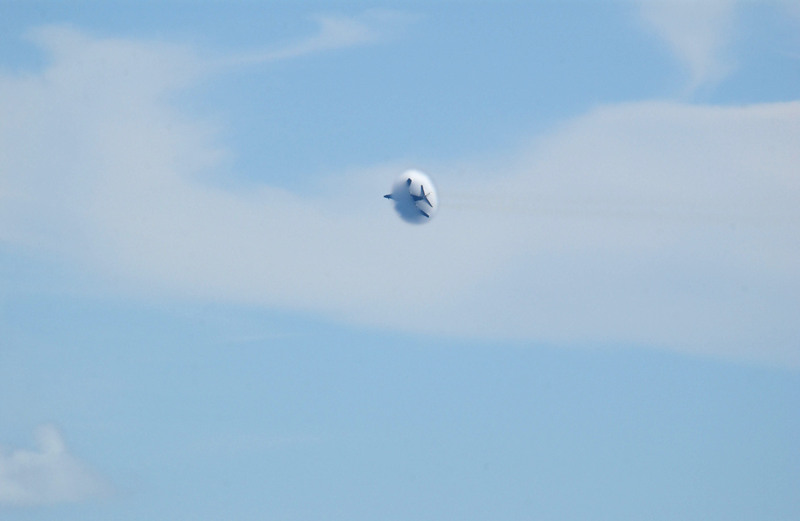 At these speeds an impressive cloud may suddenly appear around the aircraft. And as shown in these sequential photographs, all the right factors were present to form one. This type of vapor cloud is a Prandtl-Glauert condensation cloud and is caused by the Prandtl-Glauert singularity. In the 3rd Collection of Prandtl-Glauert Condensation Clouds presented Umáyañggan (Disiémbre) 16, 2004 is a photo sequence of the same B-1B Lancer showing the sequential development of a different Prandtl-Glauert cloud. 1. Top (Full size Original, Large, or Medium: Staff Sgt. Shelley R. Gill, Still Photography Journeyman, 125th Fighter Wing, Florida Air National Guard, USA, E-mail address <shelley.gill@fljack.ang.af.mil>; United States Air Force (USAF, http://www.af.mil), United States Department of Defense (DoD, http://www.DefenseLink.mil or http://www.dod.gov), Government of the United States of America (USA). USAF image ID number: 040116-F-0971G-129. 2. Bottom (Full size Original, Large, or Medium): Staff Sgt. Shelley R. Gill, Still Photography Journeyman, 125th Fighter Wing, Florida Air National Guard, USA, E-mail address <shelley.gill@fljack.ang.af.mil>; United States Air Force (USAF, http://www.af.mil), United States Department of Defense (DoD, http://www.DefenseLink.mil or http://www.dod.gov), Government of the United States of America (USA). USAF image ID number: 040116-F-0971G-130.